Harness your ambition, energy and talent. Connect it to meaningful work. 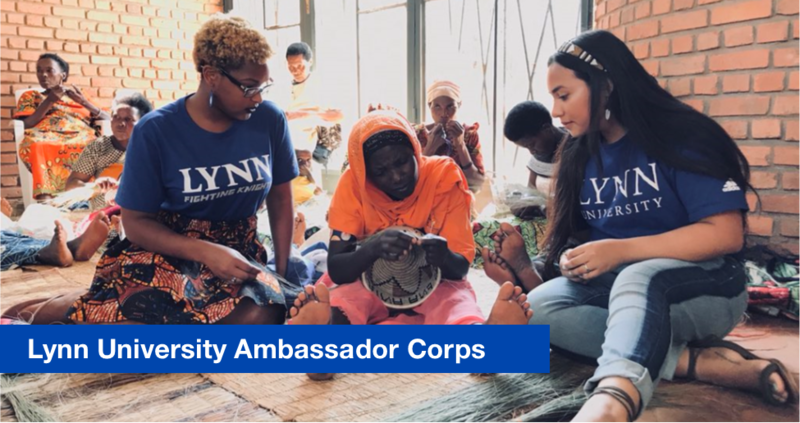 Ambassador Corps (AC) is the Social Impact Lab’s annual summer apprenticeship where you can gain tangible work experience and the fundamentals for entering a career in social impact. The program is made up of two components: a pre-departure certificate training focused on building character and leadership and providing a comprehensive understanding of how finance and business can be tools for positive change; and an internship with a social enterprise or impact investment firm in locations such as Rwanda, Macedonia and the U.S.
Focus on top areas of global development such as education, clean water access, financial inclusion, microfinance, empowerment of women and girls, workforce development, and climate action. An intensive social impact leadership course taught by a combination of Lynn professors and successful practitioners of social entrepreneurship, corporate philanthropy, microfinance, and impact investing. Each participant is matched to a project-based apprenticeship with a socially responsible company or nonprofit for up to 10 weeks. Internships are fast-paced and entrepreneurial, and provide an excellent foundation for a global career in social impact. Following the completion of both the course and apprenticeship, participants earn a Certificate in Social Impact Leadership from the Social Impact Lab at Lynn. Demonstrate a commitment to developing 21st century leadership qualities, including: accepting different cultures and perspectives, adaptable, resourceful, reliable, self-motivated, curious, observant, honest, accountable, and results oriented/impact-driven. Be engaged in student life and/or community service (sports, music, student clubs, performing arts, etc.). Hold 1-2 years of work or academic experience in managing projects (research or otherwise), extracurricular leadership. Have a proven ability to set goals, devise a plan to achieve those goals, and meet those goals in a timely manner. Specific skill-set qualifications per individual internship assignment may be required and are based on specific needs of socially responsible company or nonprofit. The cost to participate varies based on location and course credit enrollment. Scholarships are available and will be awarded based on need and merit. Contact the Social Impact Lab at crheinga@lynn.edu for more information or application details.